Essentially England News, December 2010 - Sprouts: Not just for Christmas! Sprouts: Not just for Christmas! Season's Greetings from an unusually snowy England! Drive across country at 5am and the place looks totally magical. It helps, of course, that so few other cars are on the road at that time. If a sleigh drawn by four horses came up behind you, you simply would not even blink. What's New at Essentially England? Essentially England celebrated its 3rd birthday on December 14th and we did it in style with a new, best-ever visitor total! We now reach well over 2000 people every day - not something I would have believed when I started the site. Many thanks to everyones who visits! And an especially warm thank you to all of you who have contributed questions, recipes, comments and suggestions. I do appreciate all inputs, even if I'm still a little behind answering all the Questions about England that I've been receiving just recently. But I'm down to single figures on the remaining submissions, so hopefully they'll all be answered before the end of the year. Also, look out for a new section on Royal Wedddings. With yesterday's announcement of Zara Phillips's engagement, 2011 will definitely be a year for Royal weddings with all the fun, pomp and circumstance that goes with it. And, of course, I'll take great pleasure in looking at a few historical royal weddings, too. With snow, ice, industrial disputes and engineering works, the papers paint a dire image of travel chaos in England at the moment. But ditch the doom and gloom and go out for a walk in the snow - it truly looks magical! And the best places to visit? A great medieval palace and Art Deco icon in one, Eltham makes the ideal day out for anyone staying in and around London. The grounds are glorious, too, especially with all the snow. Burford's a village in Oxfordshire, just off the A40. An old wool town, it has a wonderful church, a little stream with ducks, and lots of quirky shops, pubs and cafes along its steep High Street. It's a friendly place and looks unbelievably 'English'! And right now, with the snow and all the Christmas lights it looks even better! Another very English-looking town, right below the towering scarpe of the Cotswolds. I love Broadway at any time of the year with its wide High Street and houses of mellow, golden stone. There's an excellent deli, quirky shops and even better hostelries. And the walking is good, too. 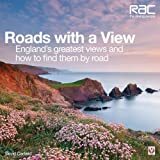 Roads with a View is a celebration of England's finest views, along with instructions on how to find them by road. The instructions are easy to follow and the photos are simply awesome! Roads with a View will also shortly be available in North America. You can preorder Roads with a View here. Our love-hate relationship with sprouts is on a par with Marmite. And that's a real shame, because sprouts are such an amazing vegetable. Or should that be flower? (In Germany, they're actually called Rose Cabbage.) I love buying them on the stalk and picking them when I need them. And before you argue: sprouts are wonderfully tasty - provided you keep them well away from water! This recipe is so easy, even a six-year old can make it. But the end result - if you've only been used to soggy greens - will be a revelation. You need sprouts, a little oil, lemon juice (1/2 lemon for 250g of sprouts), Marigold Bouillon powder (about 1 heaped teaspoon for 250g of sprouts) and a large pan with a lid. Heat the oil in the pan and tip in the sprouts. Toss them around on a fairly high heat until they're bright green and glistening. Add your stock powder and stir to mix. Pour in the lemon juice and stir, but watch your hands as it will spit. Now turn down the heat to a simmer, clap a lid on your pan and leave for a few minutes. Give the pan a shake every now and then. If your sprouts seem to be sticking, add a splash (no more!) of water or - even better - white wine. Serve when the sprouts are cooked, but still have some bite to them. How long this takes depends really on the size of your sprouts: anything from 8 - 15 minutes. This goes excellently with pork chops and mash, but I've been known to eat it out of the pan with a large spoon. This is a generous dish, so all measures are approximate. You need sprouts, a little oil, mustard and creme fraiche. For 250g sprouts I'd use about 2-3 teaspoons of mustard and approx. 175g creme fraiche. For this, you shred your sprouts as coarsely or finely as you like. Then heat the oil in the pan and when it's hot, add your sprouts. Toss them around until bright green, then turn the heat down and cook until almost done, which will take only a few minutes if you've shredded them very finely. Keep stirring, so the sprouts won't stick to the pan. When the sprouts are almost done, add your favourite mustard and stir. Then add as much creme fraiche as you need to turn the sprouts into a velvety, creamy mixture. Don't make it too sloppy. Adjust the seasoning and serve. The ultimate in leftover food, Bubble and Squeak is a Boxing Day treat made from cold roast potatoes, sprouts and any other veggies you didn't manage to eat during the festive dinner. Start by warming a generous glug of oil, lard or goose fat in a large pan. Peel, finely chop and fry an onion until translucent. Add the roast potatoes and squash down. Cook for a few minutes until they're warmed through and starting to brown a little. Now add the cooked vegetables. Again, squash them down a little and mix into the potato and onion. Season with salt and pepper to taste. Then, leave alone over a medium heat until a lovely brown crust forms underneath. You can then turn the whole lot over and cook the other side, slide the pan under a hot grill or broiler to cook the top, or just stir it with a spoon, flatten it out again and brown some more. It's done when it smells warm, delicious and inviting. Serve after a brisk walk in the snow with salad, cold ham and all your favourite pickles for a real Boxing Day treat! Royal Weddings, definitely. Normans, definitely. Food, definitely. Free time, maybe! Wishing you all a wonderful Christmas and a very Happy New Year!